Today I have some sad news. It is with a heavy heart that I must announce that ANZTAC will be closing its doors come October. This decision was not taken lightly and has weighed heavily on my mind over the past few weeks and months. We started this community on the back of another failed community who wanted to get more out of a milsim experience, however as time progressed, a number of internal issues and disagreements has lead up to this point. We didn’t know it at the time, but it has become evident that our operational model is not sustainable. I am sad to see ANZTAC go, but I feel that at this stage, the good ship is no longer recoverable. However, with one door closing, new doors to a brighter future open up. We have partnered with Task Force Raider to conduct a merger between our communities. I implore all of you to head over to their discord over here: https://discord.gg/ErtsGe and look into their recruiting channel. When you do sign up, mention in the notes that you were a former ANZTAC member and your application will be fast tracked. Just a note though, they will still assess each members application individually and can still reject any application. With one chapter drawing to a close, another great chapter is just beginning. I hope to see you all over on the TFR discord and look forward to running tacs with a bigger, better community once more. 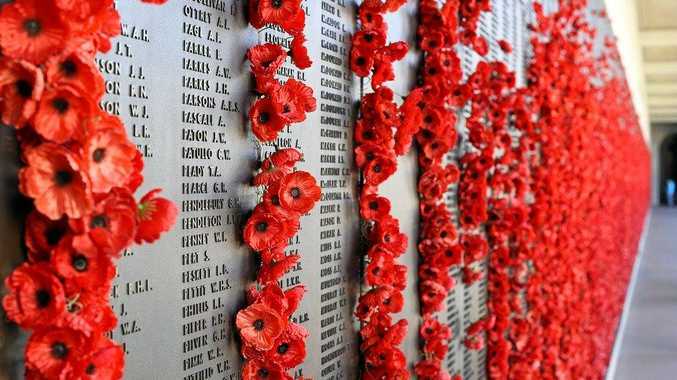 On ANZAC Day, Australians across our nation unite to remember and honour those who have served with distinction in our defence force over many decades. We honour them for their sense of duty to our country, their indomitable fighting spirit and for the appalling conditions many have so bravely endured. We especially honour those who have given their lives in service to their country. Today, as our service men and women continue to serve with dedication and distinction both at home and abroad, we remember and honour those who have gone before. and take a minute of your time to remember the sacrifice that many service men and women have made to this great country. From my service family to you all, have a safe day and remember that no man or women should be stuck alone on this day, everyone has family here. T-140 Angara - The T-140 Angara is a Main Battle Tank (MBT) of Russian design and is used by the CSAT faction. This vehicle is built to deliver maximum destruction, while providing the best kind of protection to its crew. The Angara's primary weapon is a new 125 mm cannon, which can fire three different kinds of ammunition, and has a longer effective range than the cannons on most Western tanks. Its secondary weapons are a 7.62 mm coaxial machine gun and a 12.7 mm heavy machine gun. Aside from the regular T-140, the Angara also comes in the T-140K 'Commander' variant, which replaces the heavy machine gun for a 30 mm autocannon, and is equipped with sensors to share target data via the Data Link with other units. AWC Nyx - The Nyx Armored Weapons Carrier (AWC) is of German engineering descent, but was licensed and modified by the AAF faction. Its smaller size makes it relatively fast and mobile, and even allows for it to be slingloaded by the CH-49 Mohawk helicopter. The Nyx comes in four variants: Anti-Tank, Anti-Air, Recon, and the Autocannon variant. All of these variants wear an armor jacket that is able to withstand 7.62 ammunition, but each vehicle variant carries different types of weapons or equipment to serve specific needs on the battlefield. Just like the other new vehicles in this DLC, the Nyx is available in multiple liveries. Rhino MGS - The Rhino is a wheeled Armored Fighting Vehicle (AFV) that is purpose-built to fight against tanks. For this reason, it's also referred to as a 'Tank Destroyer'. The Rhino MGS has a 120 mm cannon, which can fire all kinds of standard rounds, but also the new MARUK ATGM. It has a secondary weapon in the form of a coaxial .338 magnum machine gun. The Rhino also comes in the UP variant. This variant features an additional remote 12.7 mm heavy machine gun turret, and improved protection in the form of cage and ERA armor. It makes the UP more suitable for Military Operations in Urban Terrain (MOUT), but does add weight and limits options for transport. Both variants of the Rhino are connected to the Data Link, which enables them to lock onto targets picked up or painted by friendly armed forces. "Altis Requiem" Mini-Campaign - Over the course of three singleplayer scenarios, you assume the role of an AAF tank commander, and you get to experience the opposite perspective of the NATO offensive featured in Arma 3's vanilla "The East Wind" campaign. Here, you're placed in command of the new AWC Nyx in the fight against the FIA. Later you're also presented with the opportunity to operate the new T-140 Angara Main Battle Tank. This short mini-campaign leads to different possible endings based on your playstyle and performance. Showcase Tank Destroyers - In this singleplayer Showcase scenario, you play as a NATO crewman on board the new Rhino MGS UP. This Tank Destroyer has similar firepower to a Main Battle Tank, but is much more vulnerable in terms of armor protection. As such, you will need to make a good use of the Rhino's speed and maneuverability to complete your objectives. Enhanced Armored Vehicle Experience - A combination of upgrades makes operating armored vehicles a much more immersive experience. These improvements apply to all armored vehicles in Arma 3. Interiors - Every armored vehicle in Arma 3 now features a fully 3D-modeled interior with Multi-Functional Displays and camera feeds for crew members. Improved Handling - Armored vehicles now feel more natural to drive thanks to improvements to the wheel collision simulation, the way different ground surfaces affect handling, and other changes. Extended Damage Model - Armor now reacts more realistically to incoming rounds. For example, this means that cage armor (also known as slat armor) is not just a visual object, but really does offer protection against RPGs. Upgraded Audio - The audio experience of armored vehicles is made more lifelike via the addition of more stereo sound samples, positional sounds, and more distinct audio cues for gearbox and RPM changes. Vehicle Customization - Armored vehicles can be customized in the Virtual Garage with additional armor protection and camouflage nets for better concealment in different terrains. Fire-Control System - Several ground vehicles and aircraft are equipped with the Fire-Control System (FCS). This technology measures the range and speed of targets, and adjusts a weapon's zeroing and calculates the lead to increase the chances of a first-round hit (FCS was initially implemented as part of the Arma 3 Jets DLC). New Missile Flight Profiles & Capabilities - A selection of missiles now feature direct or top-down attack flight modes, plus support for terrain-following munitions has been added. A few weapons now also have the ability to lock-on after launch. "Vanguard" Team-vs-Team Multiplayer Mode - In these competitive combined arms scenarios, an important device is paradropped on a random spot on the map, and its precise location is gradually revealed as the package gets closer to the ground. To win, one of three opposing teams needs to pick up the device, and return it to their base within a certain time limit. A team also wins when they've eliminated the other teams in combat or when they have the highest score at the end of the match. 3 Time Trial Challenges - Skilled drivers can put the new T-140 Angara, AWC Nyx, and Rhino MGS to the test in three speedy time trial races across Altis and Malden. 2 Anti-Tank Launchers - Some of Arma 3's factions are reinforced with brand new launchers. CSAT's 9M135 Vorona is a manually guided missile launcher with powerful optics featuring a high 6 or 12x magnification, Thermal Imaging, and a laser rangefinder. The MAAWS Mk4 is an unguided recoilless rifle, which is available in the older Mod 0 version used by AAF and FIA, and the newer Mod 1 version that is employed by NATO. The MAAWS is lighter than the RPG-42, and fires smaller HEAT (High-Explosive Anti-Tank) rounds, but is a bit more precise and has a longer range. Additional Anti-Tank Vehicle Variants - The Offroad pickup and the Prowler and Qilin Light Strike Vehicles from the Arma 3 Apex expansion now also have variants carrying mounted launchers (the LSVs are only available to owners of Arma 3 Apex). Decorative Objects - Several new decorative objects are made available to Arma 3 content creators, such as new tank barricades, spare parts, and tools. There is also a fully functional repair depot, which can be used to repair damaged vehicles. Islamic State are conducting roadside ambushes, drive by shootings and planting roadside IED's. They operate in four to eight man squads with various weapon systems including LMG's and RPG's, their use of vehicles is limited but can include .50 cal mounted soft skin vehicles. We can expect they will have ambushes along the route to the objective and attempt to slow us down with roadside IED's. It is known for IS to use civilians as human shields and ambush lures. Expect them to operate covertly in the AO and use the element of surprise to overcome our forces. Abu Dija will be well defended as we believe in the town is a bomb making factory that IS is using to produce IED's for their forces in the area. ANZTAC is conducting a refresher training session to improve the tactics of the community in the Arma 3 environment. The purpose of this is so that members can refresh their minds on basic milsim tactics, and continue to improve their current skills and become familiar with the SOP's within ANZTAC. The areas in which we will be covering will be listed bellow. After 6 months of peacekeeping efforts, NATO forces in Malden have effectively gained control of most of the main island. This has constrained the Syndikat insurgency to the lower south-eastern corner of the main island and the smaller military island to the south-east. Regular patrols are being conducted into the 'Red Zone' in order to perform reconnaissance on insurgent forces and execute raids against known & suspected enemy positions. Your platoon has been tasked with a patrol in to the southern-most parts of Malden today. The Arma3Sync repository has undergone a significant upgrade. The upgrade is designed to deliver faster performance, more reliable connections, partial file transfer and more! As such the URL has had to change for the repo. Please ensure you remove the old ATC repository from ArmA3Sync before adding the new one. The USMC has been sent to Chernarus to help hold off the Russian invasion coming from the North. Russia had a falling out with the Chernarus government after they denied them access into neighbouring countries to the West. Since then there has been an escalation of force against the population of Chernarus and the local population has been evacuated to the South. Two Marine battalions have been sent to act as a blocking force against the Russian invasion and are preparing to assist the Chernarus government in pushing them out of the country. We have learned that a Russian supply convoy is heading South along Route Tiger, we are to prevent that convoy from making it past our position, and be prepared to defend our location if they attempt to counter us. Insurgent forces have been staging early morning indirect fire attacks on the Afghan National Police Checkpoint at Khassadar, resulting in several dead and wounded. Raider 1-1, a US Army Platoon is being deployed to covertly infiltrate into hostile territory and overwatch potential Insurgent firing positions. Mission intent is to eliminate Insurgent mortar team. 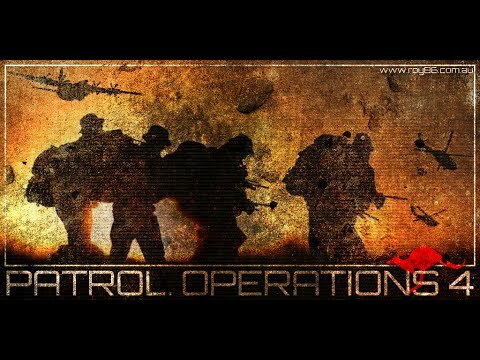 Warning Order: Patrol Operations 4! ANZTAC is proud to announce the our first community night for 2018 with the fantastic Patrol Ops 4. I encourage everyone to join in the fun from 7:30pm Sydney time on Friday 16th Feb!